The Chroma-Q® Color Force Compact™ 15 Way Power Supply supplies power and data for a maximum of 15 Color Force Compact™ or Studio Force Compact™, D or V fixtures. The Compact PSU15 unit features 3 XLR4 outputs, each with a maximum capacity of 5 fixtures daisy-chained together. 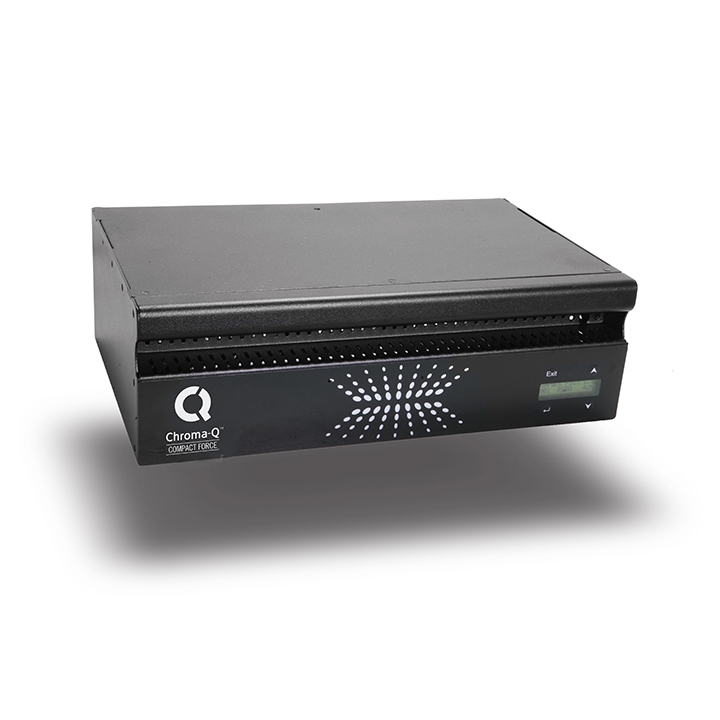 Compatibility with industry standard control consoles is assured. DMX control modes are available via ANSI E1.11 USITT DMX-512A control protocol with pre-programmed looks and stand-alone options. 412mm x 133mm x 268mm / 16.9" x 5.2" x 10.5"
508mm x 203mm x 330mm / 20" x 8" x 13"